Hah! 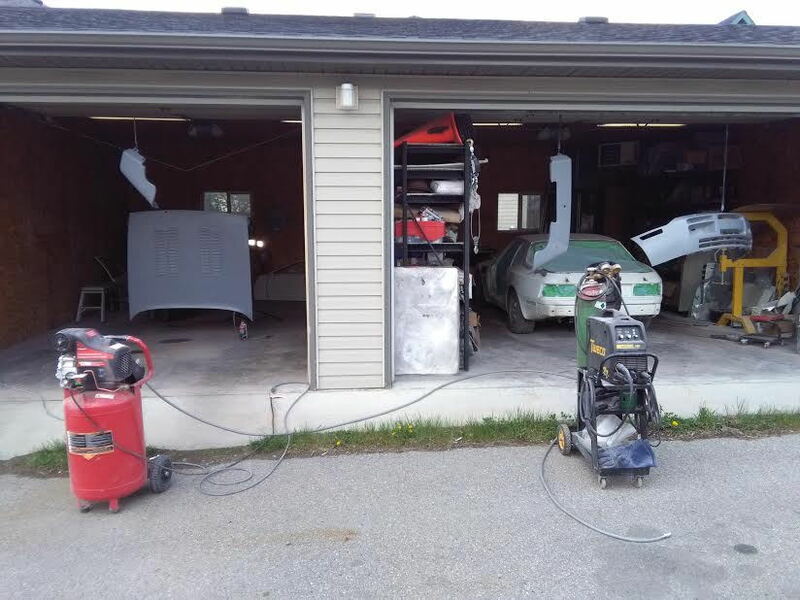 Yes, body work & paint is HARD to achieve good results from, especially when you are trying to figure it out by yourself in the garage!!! You made a great choice by going with white. I'm still undecided. Well the chaos has began here at Wilson Racing headquarters. I have runs on the hood because the wind blew it (later I put an anchor on the hood). So I will have to wait and sand. I clearly see tons of dents & scratches on the hood. 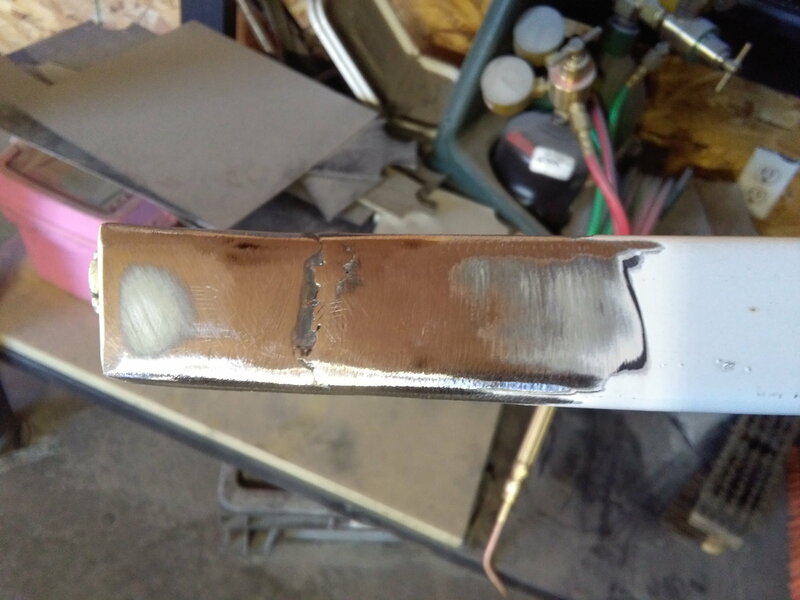 I shouldn't have taken it down to the metal. Yeah, this is going to be another "race day" paint job... not a good paint job. 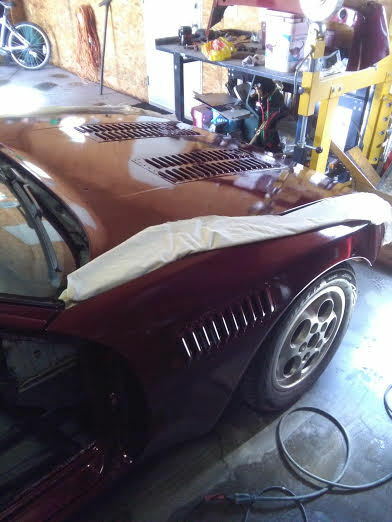 Welded in a new nose panel piece to replace the damaged one. 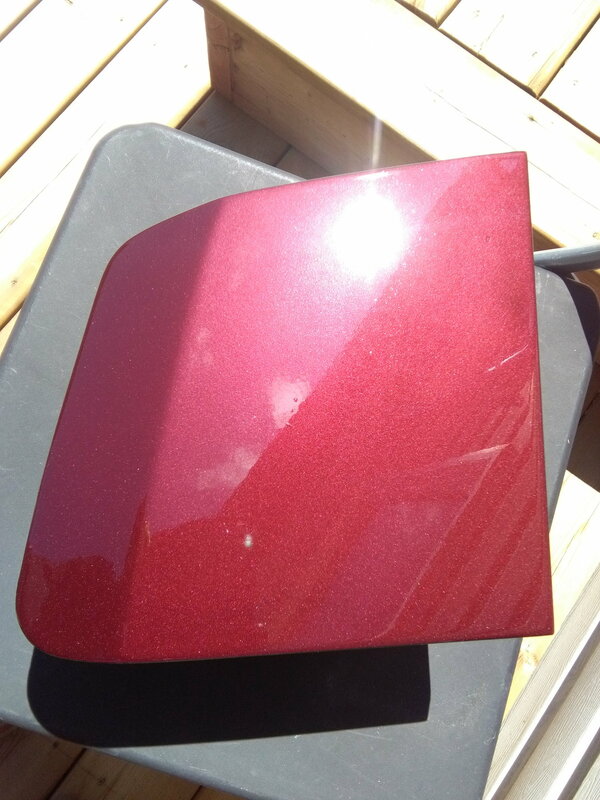 Also, this is the pretty colour Wilson will be!! 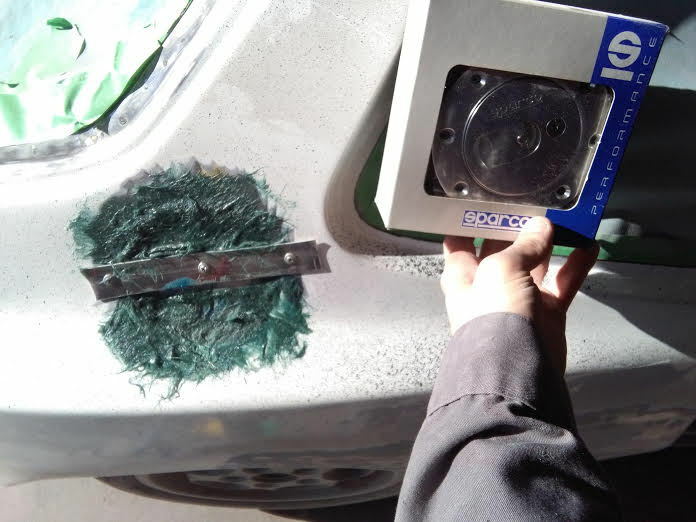 Fuel cap lid delete. gonna run the Sparco through the window. Voith, Thanks so much brother! I really am feeling grateful to be at this stage. It's been difficult to get motivated. But now I can be enthusiastic!... I'm so happy with the colours... this is my dream car! Scott! Many thanks for your compliment. I aimed to make a pretty solid cage that would allow me to engage in "seriously fun times"... whatever the occasion. The car is now equipped with 1.25" (250 lb/in) front springs and 28mm rear torsion bars and Bilstein shocks and oem sway bars. For gravel I always felt oem North American ride height was pretty much on the mark. 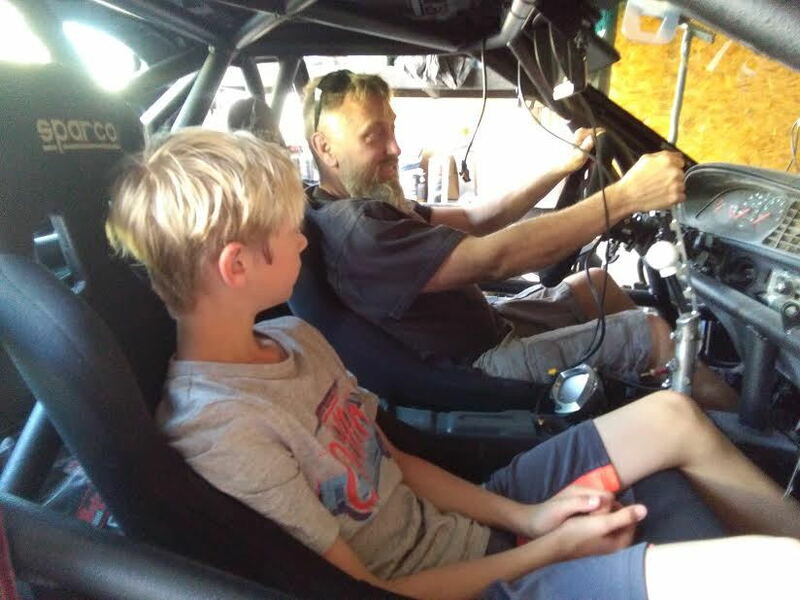 But those days are over (for Wilson) and now the purpose is #1) daily driver #2) autocross #3) big track days (not door to door racing so much as educational days for me). I really wish there was tarmac rallies here but there is only 1 really awesome event, annually... but that's across the country. So in the meantime I plan on honing my skills in the early mornings. My passion is curves & corners and so I built this car for slow-medium speed corners! Note: I wish we lived closer so I could come over & bug you for driving tips! The picture above makes me so happy with how the vents look aesthetically. It was a risk I took by going a bit unconventional, however I have read a bit about a really fast 951 from back in the day that merely used louvers in a similar fashion). Personally I envisioned a better air flow design (which is why I "v-mounted" the radiator in the first place), but found later I ran out of room in front of the engine to channel the "thru air" in the manner I wanted to. Additionally I need to consider air borne particles that can enter the timing belt region, since I'm running sans-timing belt cover and thought louvers should do the trick. 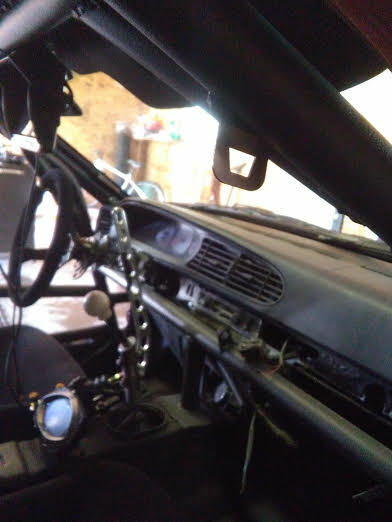 Pic below: The receptacle for the window net. It can be a bit of a head banger if not paying attention upon ingress/egress. I wont be using theses often and wonder if someone makes a "pad" to clip on when not being used? You guys have your hearts in the right place, and your familiarity with race cars and 944 vehicles gives you credibility. There is something you haven't considered however; I built this cabin area *custom* for my intended purpose on daily driving without a helmet! All features of the cage is kind to legs & knees & head. 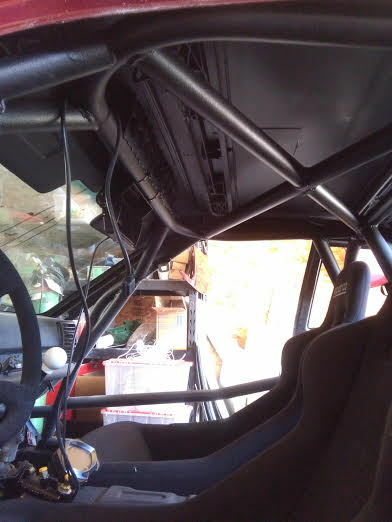 Remember the seat is FIXED and back much further than stock (inspired by a modern Subaru pro level rally car). 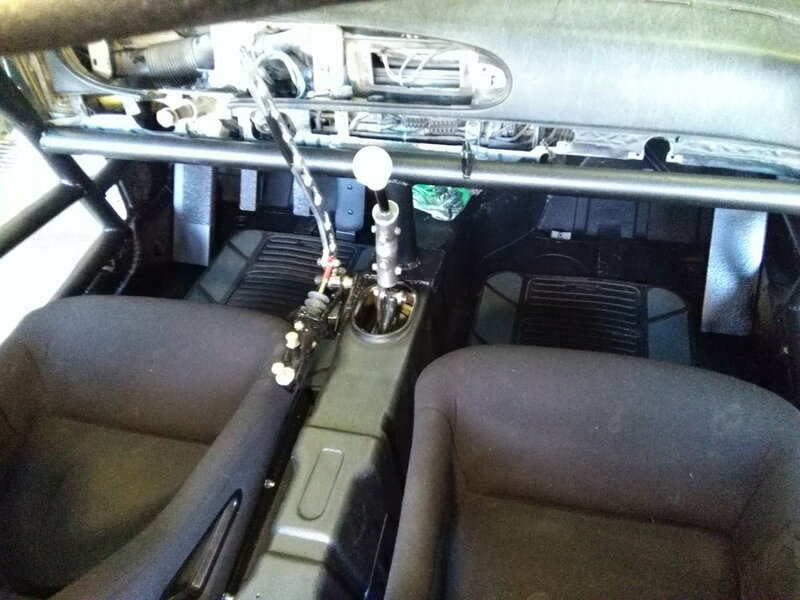 The pedals are modified 3" rearward, shifter is up and back & the steering wheel is like 4+" rearward. Please consider this. 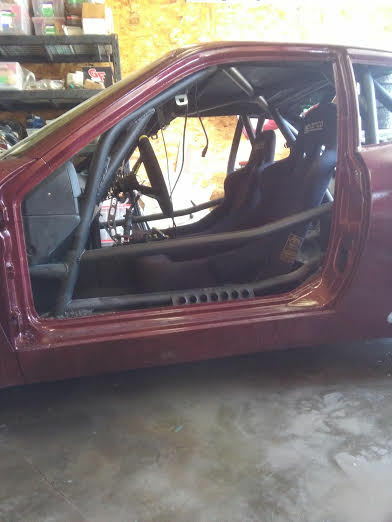 Its a different dimensional "fit" then an off the shelf 944 race car cage & seat.... which is why it took so long to massage everything into place. Mind you, I think I need to pad the throttle pedal a bit more. 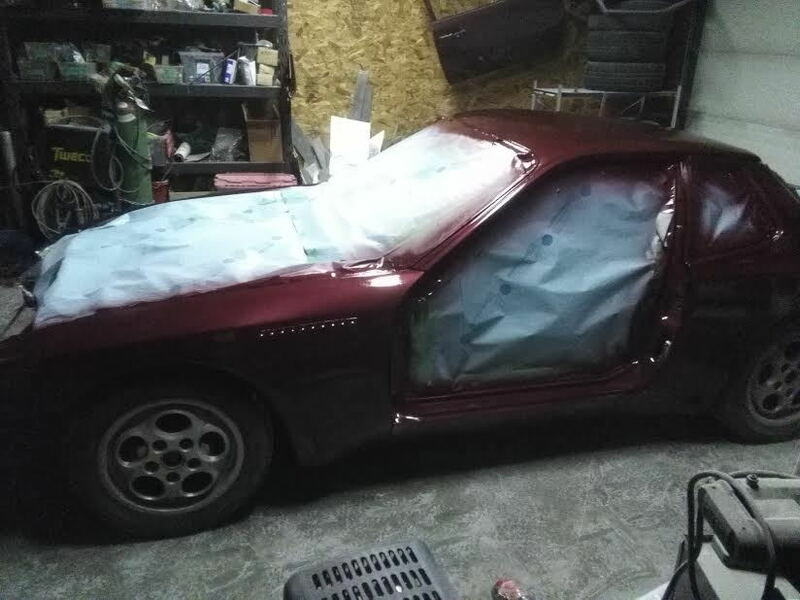 So, I don't mean to be argue-mental... but for ****s sakes I built the car for my intended purpose, and since you guys are not coming around to my garage with your measuring tapes, I'd like to leave the "safety concerns of a street driving race car" out of this thread, because I KNOW BETTER than anyone. I sweated hard to make this sucker work. You and I have very different definition of daily driving! I like the color a lot and them louvers do look pretty darn good.. I think I remember reading about engine controllers you will be running, obviously they will be working with your dash pod thing, and that is pretty sweet..
Fast Eddie, that center console could be a replacement for the oem instrumental cluster, but NOT engine management. I decided to keep the oem cluster though so this will provide other information for the operators only (like temperatures, lap times, clock, etc. Many thanks! The hydraulics need to be completed before I can tell if the change in pedal swing ratio is acceptable... since the pedals were extended, it changed the ratio unfortunately. Brother, yes the concern of head trauma was the #1 reason why I moved the seat as far back as reasonable. With the old set up (higher seat, less layback, 3" forward of what you see here), I felt it was too close... but with the current setup, once locked in with harness... that bar is a long way from the head. Regarding Turbo stuff, I hope to start working on engine items within 2 weeks & will update. I made a mistake with is going to be a b*tch to correct, but doable. Side note: but having the seat rearward it also makes the car easier for ingress/egress. Its still a workout, but the door bars turned out exactly as I had wished to help the occupants slide in and out.